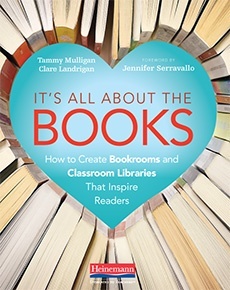 It’s All About the Books will help you transform how you organize books across the entire school to make each teacher’s book supply endless—or at least seem endless in the eyes of a reader. Teachers must have easy access to what they need, when they need it, because in the life of a reader the right book at the right time makes all the difference. In this sample, you will find the Foreword by Jennifer Serravallo along with a detailed overview of the book.